x1 Birthday Candy Cake: What's a birthday without a cake? Gives 2 levels. x1 Birthday Gummi: That rare treat can't be found anywhere but here! Raises Bond by 3. Getting down to the last of this year's birthdays, it seems. For my team, anyway- second-to-last birthday on my team is right now, and the birthday boy is Gold, my level 38 Feraligatr! It's now Totodile Day so happy birthday to my little totodile, Wani! Wani has grown from lv.5 -> lv.7. Wani has learned EM Ice Punch. Wani has learned TM Waterfall. Wani has increased All Contest Stats from 0 -> 10. Wani's Bond has increased from 15 -> 18. My Shinx goes from Lv. 12 to Lv. 14. He learns TM Toxic and EM Double Kick. His contest stats go from All 0 to All 10. Happy birthday to my Shinx, Rin! Happy Luxray Day! Luke hasn't seen much face time recently, but it is at least time to show him some love today! Level Up! Luxray grew from Lv. 38 to Lv. 40! Birthday Poffin Used! Luxray's contest stats grew from Beauty 40/Cool 40/Cute 40/Smart 40/Tough 40 to Beauty 50/Cool 50/Cute 50/Smart 50/Tough 50! Birthday Gummi Used! Luxray's Bond has been raised from 21 to 24! Schala: Shinx's birthday presents confirmed! 134: Niho's birthday presents confirmed! Patches: Rin's birthday presents confirmed! Gemini Spark: Luxray's birthday presents confirmed! My newest Pokemon was almost born on her celebration day, so hopefully the cake comes in the form of baby food. Happy birthday to my Tynamo, Tesla! Tesla has grown from lv.1 -> lv.3. Tesla has learned TM Flash Cannon. Tesla has increased All Contest Stats from 0 -> 10. Tesla's Bond has increased from 0 -> 3. Happy Eelektross Day! Here's my special guy Zatch ready for hugs! Haha, there he is! Now to give him his gifts! Level Up! Shiny Eelektross grew from Lv. 59 to Lv. 61! Birthday Poffin Used! Shiny Eelektross's contest stats grew from Beauty 30/Cool 30/Cute 30/Smart 30/Tough 30 to Beauty 40/Cool 40/Cute 40/Smart 40/Tough 40! Birthday Gummi Used! Shiny Eelektross's Bond has been raised from 11 to 14! Happy Birthday to Luc de Beaufort's first star, Polaris the Tynamo! Last edited by Maskerade; 12-11-2017 at 08:44 AM. Last edited by biggggg5; 12-12-2017 at 01:12 AM. 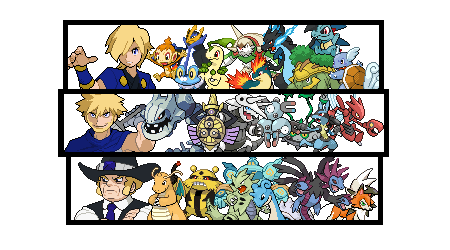 The month of a thousand birthdays continues as it's now Mordred the shiny Magikarp's turn! Mordred has grown from lv.1 -> lv.3. Mordred has learned MT Outrage. Mordred has learned TM Waterfall. Mordred has increased All Contest Stats from 0 -> 10. Mordred's Bond has increased from 15 -> 18. Happy Birthday Jormungand the Gyarados! Happy Gyarados Day! Things are looking up for Bubbles now that she has finally learned to not attack everything on sight! Okay, well, that's one of the things she's supposed to attack, that doesn't count. Level Up! Gyarados grew from Lv. 33 to Lv. 35! Birthday Poffin Used! Gyarados's contest stats grew from Beauty 30/Cool 30/Cute 30/Smart 30/Tough 30 to Beauty 40/Cool 40/Cute 40/Smart 40/Tough 40! Birthday Gummi Used! Gyarados's Bond has been raised from 35 to 38! Happy birthday to my Bergmite, Yuki!! biggggg5: Geddy's birthday presents confirmed! Sandaa: Mordred's birthday presents confirmed! Gemini Spark: Bubbles' birthday presents confirmed! Patches: Yuki's birthday presents confirmed! 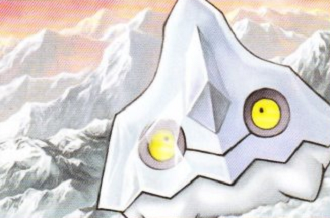 Ability: Ice Body - The Pokémon gradually regains HP in a hailstorm. Happy birthday to this little guy, 3 days late but just in the knick of time! He levels up to level 9! His Bond increases by 3! He doesn't need the contest stats because Hiero isn't interested in contests. I'm really sorry Deo, you technically posted a few hours late GMT (FB) time, you posted on Dec. 17th at 3am, meaning it is over the time limit to celebrate Bergmite Day (Dec. 13th + 3 days = Dec. 16th). Happy Horsea day! That means a big happy birthday to Eleanor! Devi has learned MT Laser Focus. Devi has learned MT Bounce. Devi has learned TM Scald. Devi has increased All Contest Stats from 0 -> 10. Devi's Bond has increased from 31 -> 34. TheKnightsFury: Eleanor's birthday presents confirmed! Sandaa: Devi's birthday presents confirmed!